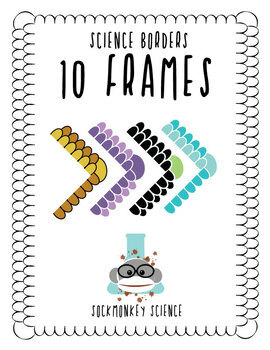 Spice up your lab reports and worksheets with science inspired borders for upper elementary, middle school and secondary teachers! This clean, retro inspired set includes 3 styles in a variety of color schemes inspired by fish and reptile scales. All files are 8.5"x11" set at a .5" margin for printers that do not print full bleed. Please carefully review the Terms of Service included with your border pack. 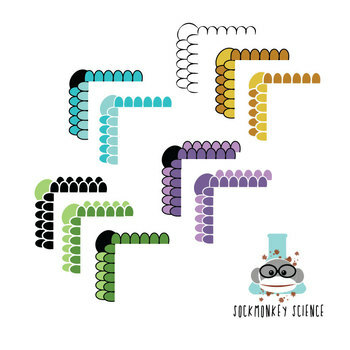 Check out my store for more science products. Want more fun science borders? Look here! Copyright © Sockmonkey Science. All rights reserved by author. This product is to be used by the original purchaser only. Copying for more than one teacher, classroom, department, school, or school system is prohibited. Clipart may be used on a limited commercial basis according to the included TOU. Failure to comply is a copyright infringement and a violation of the Digital Millennium Copyright Act (DMCA).